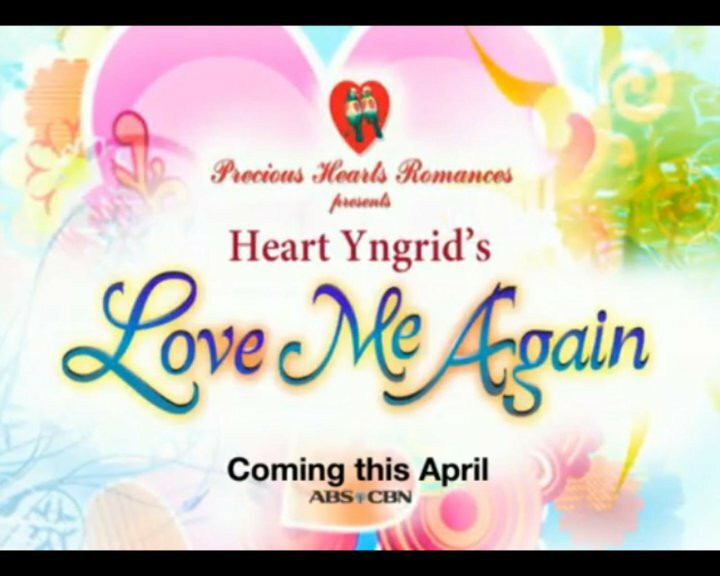 Ayi vs Heart Yngrid. 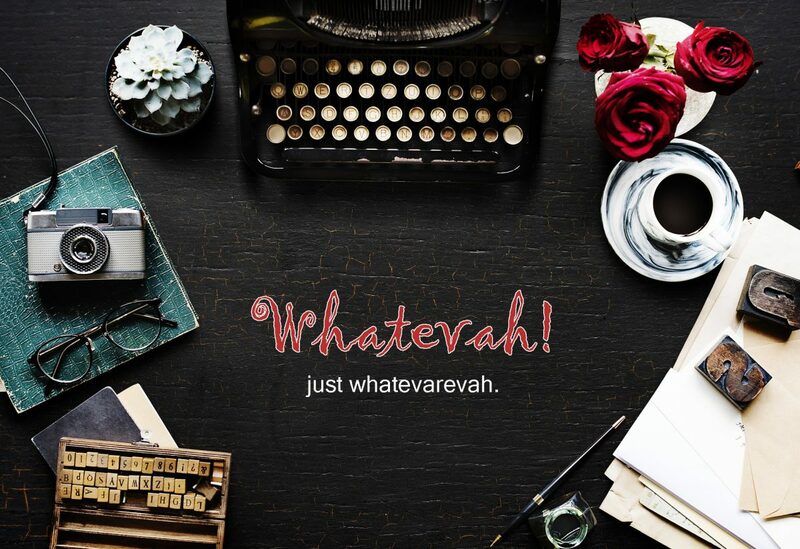 – Whatevah! Whenever I write, I am a totally different person. Kumbaga, si Heart Yngrid iba kay Ayi. 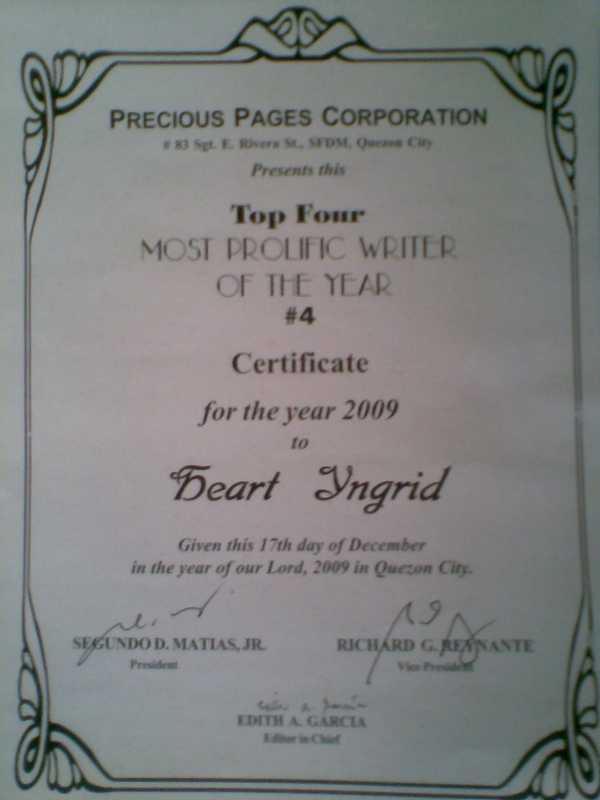 Heart Yngrid is sensible, creative, perfectionist, romantic and witty. While Ayi is the complete opposite of Heart Yngrid. Ayi is nonsense, lame, balahura, unromantic and absent-minded. Therefore, Heart Yngrid is not Ayi, But we share one body. I dunno how the hell did that become possible. Maybe I have split personality? I hope that doesn’t qualify me for a straitjacket though. Anyway, Heart Yngrid is the one who has fans, not Ayi. In fact, I am also her fan. I am her greatest fan ever! Tabi-tabi muna yung mga nagsasabing sila raw ang no.1 fan ni Heart Yngrid. Dahil ako talaga ang no.1. LOL. No, this isn’t narcissism because as I’ve said earlier, we are two different entities. Let’s compare. Okay, you still have eyesight, don’t worry. You hadn’t became blind for a second. They were really BLANK. Haha. All right, may mga accomplishments din naman ako as Ayi. But they are very tiny, you may have to use a microscope to see them. 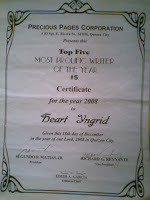 Like Best in English in high school (and I never imagined being the best in English because I was really not that fluent. maybe my classmates were all bulol that’s why haha), Teacher’s Favorite (I think I have the gift of being a favorite, maybe its not because I was intelligent. Maybe it’s because of my charm. hahaha…), I always top the class (seriously, but I belong to a so-so section in high school. I wonder why I never got to the highest section. maybe because I was lazy? ), I almost reached the grade quota for a Cumlaude! Konting-konti na lang di pa umabot! (But I know it’s my fault that I didn’t because I was so darn lazy. I hate school. I cut classes pa nga, seriously.) Pero ipinagmamalaki ko pa rin na muntik ko nang maabot iyon despite my laziness. May magic kasi ako kapag exams, eh. I always get high test scores. And I swear it’s not because of kodigo, ha. Tamad lang ako pero hindi ako mandaraya. I even had managed to pass the Licensure Exam for Teachers even if I was very sick the day I took the exam. 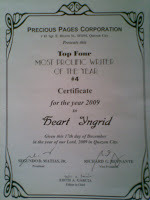 Heart Yngrid receives tons of fanmails every single day. Ayi reads them for her. LOL. And If it weren’t for Heart Yngrid, Ayi wouldn’t own a Louis Vuitton. LOLOLOL. Okay, so Heart Yngrid is way cooler than Ayi. No doubt about that. 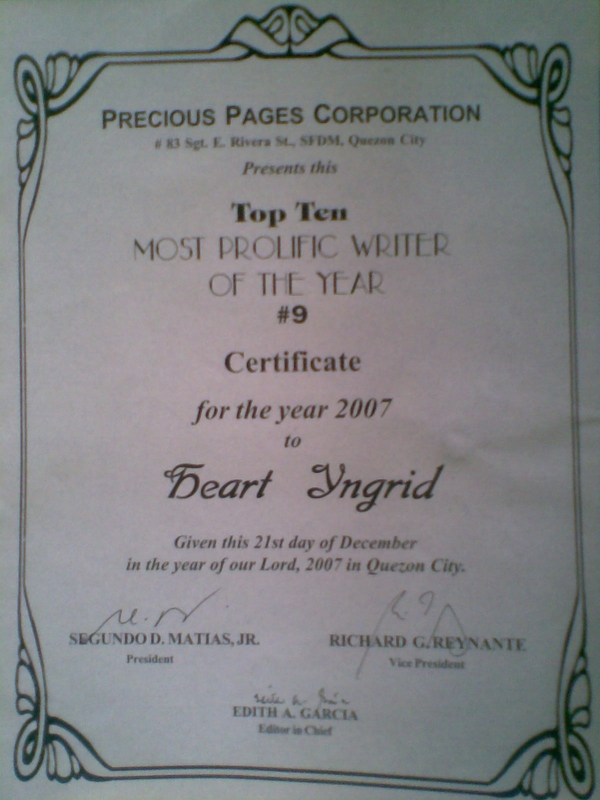 Wala talagang binatbat si Ayi Kay Heart Yngrid. But hey, I’m glad we share the same body. How cool is that? This entry was posted in Journal. Tagged Accomplishments, Books, Careers, Heart Yngrid, Television. 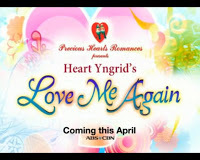 Everybody knows Heart Yngrid, but I'm more interested in Ayi haha. 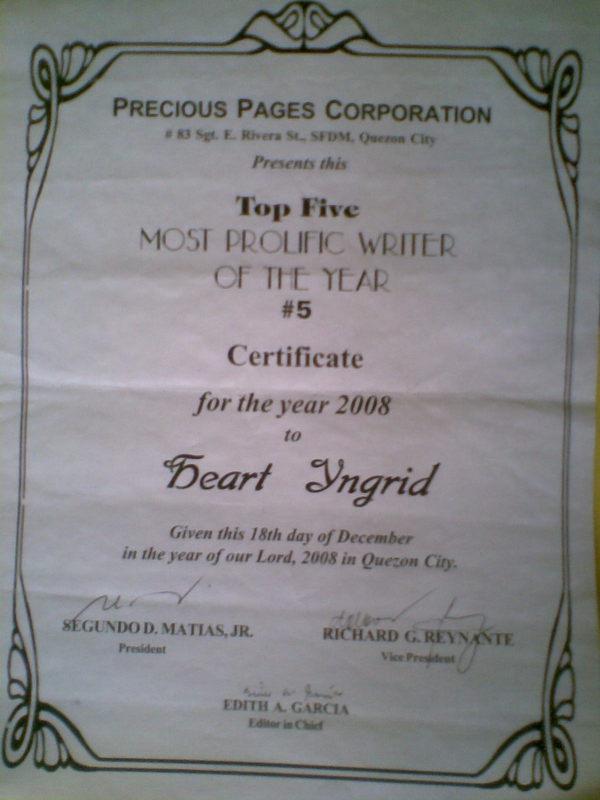 Writers/novelists get a lot of credibility among the masses more than graphic/web designers, which is why I want to be a writer too (on the side of graphic/web designing hahahaha). Dahil walang magawa sa office, nasuyod ko na ata lahat ng blogs mo. hahaha .. super witty. Pati ba naman dito humahagikgik ako – super pigil nga lang kasi may audience impact. 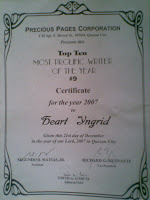 Wait – di ba si Ayi ang nagsusulat ng blog, so meaning, wiity rin sya at napapahagikgik din niya ako.. love ko na din si Ayi!!! haha..